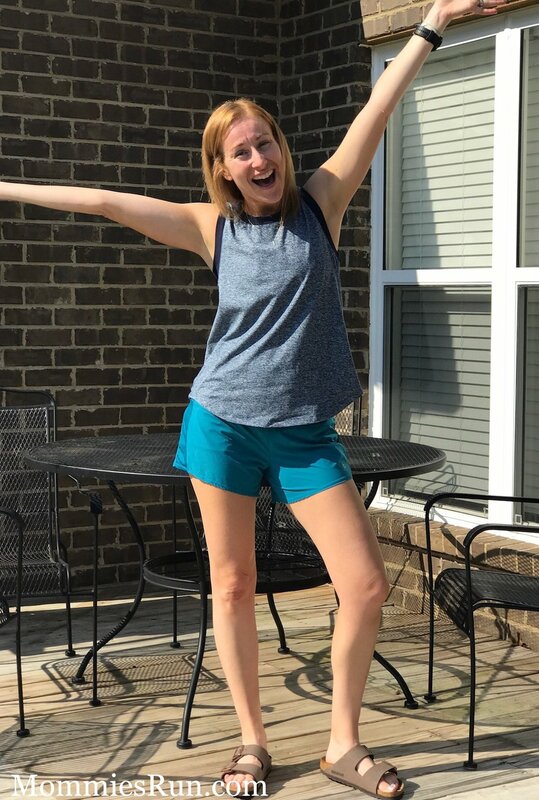 Oiselle Wednesday: Summer Rogas — MommiesRun. I might be a member of the Oiselle Volée Team, but I've been wearing Oiselle (pronounced Wa-Zelle) for several years now. Oiselle is a company with a mission I believe in, and running clothes that help me believe in myself. 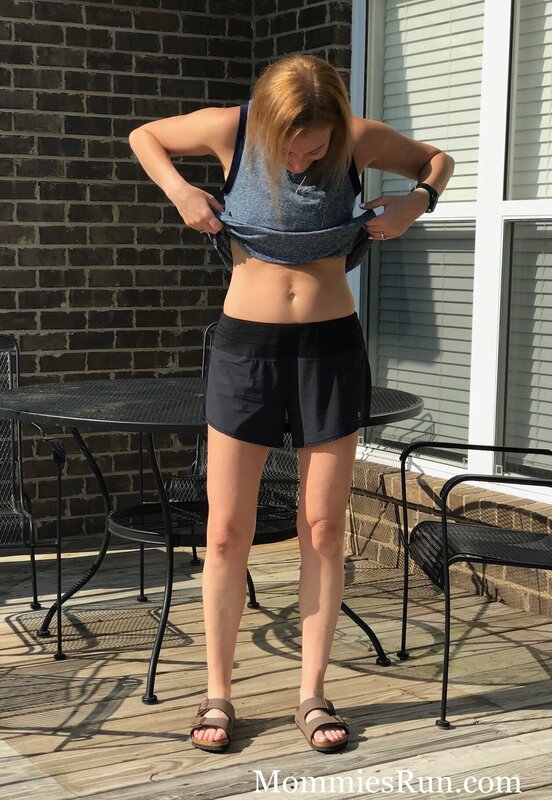 Oiselle Wednesday is a day for reviewing my favorite running fashions and showing you the fit on a 5'7, 125 pound Mommy-body! Heyo! I'm super excited to be back doing one of my favorite things...talking all things Oiselle. But first, I want to thank you guys for the love you showed me after yesterday's blog revival. I was super scared to reveal the changes I've made, but you guys did nothing but applaud and discuss your own desire to join the Healthy Living Adventure. So thank you from the bottom of my heart. Now let's talk Summer Rogas! If you remember, I reviewed the original Rogas a couple years ago, however, my sizing preferences have changed a bit since then. Lately I've been going between a 4 and a 6 so please take that into consideration, because I'll be showing pictures of both sizes in the Summer Rogas. Also, please disregard the color of my hair currently. I've been experimenting in hair dye and this color isn't the best. Oh well. So what's the difference between original Rogas and Summer Rogas, you ask? Well a lot, and even though I can't get enough of the originals, I have found that the Summer version is incredible. To start, the material is a lighter, flimsier material that still wicks sweat and performs as well as the Roga material you know and love. Due to it's lightness, you might even catch yourself wondering if you forgot to put on shorts. The feel is amazing for these hot, humid runs that Tennessee always gifts us in the summer. 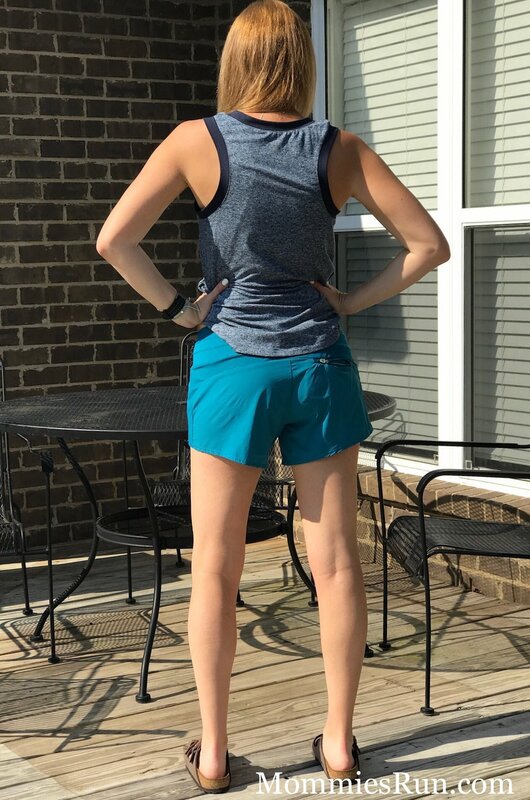 In addition to the difference in material, Oiselle added a mesh panel on the sides and back of the shorts. This mesh is the same material (I believe?) that is used in the popular summer Go Tank. It provides nice air flow while you hit those 400's and tempo miles. I will mention that I believe you'll find the legs slightly roomier that the original Rogas, probably due to this mesh panel. I'll give you more insight on this in a bit. The Summer Rogas still have that back zip pocket that I've been known to stuff trash found on the run in, plus the inner liner pocket. I don't ever use that inner pocket, but if you do, I'm curious as to what you stuff in it? You'll also still have the same drawstring within the perfect Roga waistband. By the way, the perfect Roga waistband is a lighter material here too. Also, you'll still find the standard length of 4 inches in the inseam. Now, as far as sizing, I'm showing you both a size 4 (Coast), and a size 6 (Black). The first pair I purchased were the black, and I was not completely sure that the legs seemed that much looser than regular Rogas. Maybe my legs changed, but I now feel like they are quite a bit looser. So I decided to order a size 4 in the Coast for you know, experiment sake. I found that I prefer the 4 so much more, even though I still run in the 6's. Of course I ended up ordering the remaining color, Slate, in a 4 during a recent sale. My thoughts are, if you find your regular Rogas have room in them, consider sizing down in the Summer Rogas. If your regular Rogas are on the tighter side, consider ordering your regular size. So have you figured out how I feel about these shorts? Well if you haven't, I freaking love them. If Oiselle only made Summer Rogas for the rest of eternity, I would run happy. Will I still buy regular Rogas if Summer Rogas are not made any more? Of course. Rogas are my jam. But I am so impressed with how these babies handle runs in 90 degree weather, that I am hooked. Let's call this the MommiesRun-guarantee wink. For pricing, you'll find the Summer Rogas run a few bucks more than the regular Rogas at $52, however, they are worth the extra money. I'm putting the MommiesRun guarantee on these babes. If I had to come up with a complaint about the Summer Rogas, it would only be that they don't come in Snap. What are your current favorite running shorts? Are there any Spring 2017 items you're dying for me to review?